Andy began his training inTae Kwon Do as a youth, and then, at age 12, wrestled for 2 seasons in the YMCA youth league. 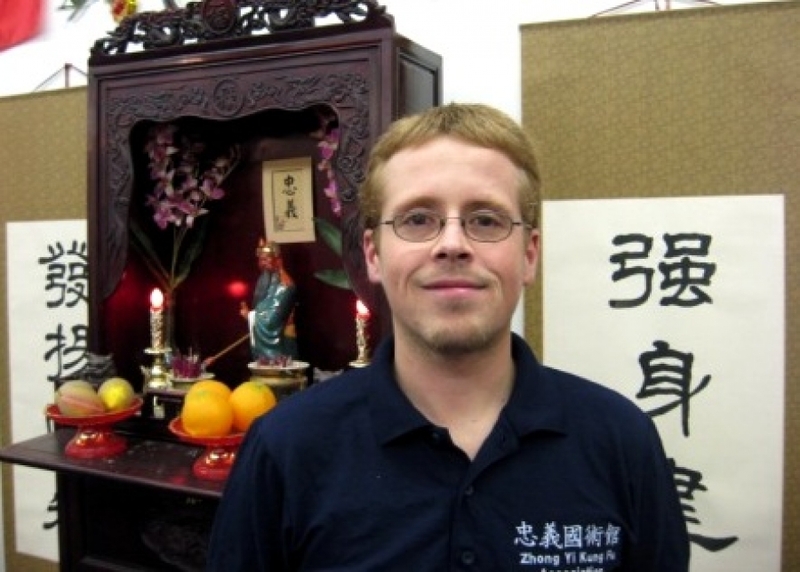 He began studying Bei Shaolinquan under Shifu Fereirra in april of 2000, and joined the Lei Tai Team in 2001. Andy is currently an Assistant Instructor/Coach for the Lei Tai Team and has competed and coached in regional, national and international Lei Tai tournaments. -Bronze medal in the Superlightweight division at the International Koushu Championships in 2004. -Gold medal in the Superlightweight division at the USCKF North Regional Tournament in 2005. -Bronze medal in the Superlightweight division at the International Koushu Championships in 2005. -4th place in the Superlightweight division at the International Koushu Championships in 2006. -Silver medal in the Superlightweight division at the International Koushu Championships in 2007.